The Rev. 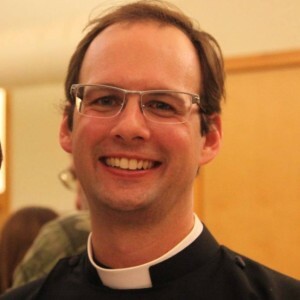 Christopher Wendell began serving as St. Paul’s rector in the summer of 2011. His ministry includes preaching and leading worship, providing pastoral care to all ages, welcoming newcomers and visitors, and working with the lay leadership in the administration and oversight of the parish. As part of his ministry, Chris also is an active member of the Bedford Interfaith Clergy Association and serves on the Standing Committee of the Episcopal Diocese of (eastern) Massachusetts. Before coming to St. Paul’s, Chris served for four years as an associate rector at St. Andrew’s Episcopal Church in Wellesley. Prior to attending seminary, he worked for a regional theater company as a directing/producing assistant. Chris is a native of San Francisco and a graduate of Princeton University and the Episcopal Divinity School. When not at church, Chris enjoys reading, exercising, and exploring Bedford. Chris and his wife, Kristen, an assistant professor of engineering education, live in Bedford with their two boys. The Rev. Rachel Wildman began as St. Paul’s Curate in the summer of 2015 after having been the parish’s seminarian intern for two years prior. She was promoted to Assistant Rector in 2018. Rachel’s ministry is part-time, and is focused on the Christian Education program and on serving as a spiritual companion to the parish’s active Women’s Group. In addition, she shares in preaching, worship leadership, and pastoral care duties with Rev. Chris. 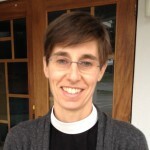 A graduate of Episcopal Divinity School, she, her husband, David, and their two children live in Somerville, Massachusetts. Born and raised in Concord, NH, Rachel explored parts south as she pursued her former career as a research scientist in the field of academic medicine, and is thrilled to be back in New England. In her spare time, Rachel enjoys reading, rediscovering her love of the piano through lessons with the parish’s music minister, Michael, and binge-watching PBS mini-series and embarrassing reality TV shows. The vestry of St. Paul’s includes the wardens, the treasurer, the clerk, and several general members with rotating three-year terms. 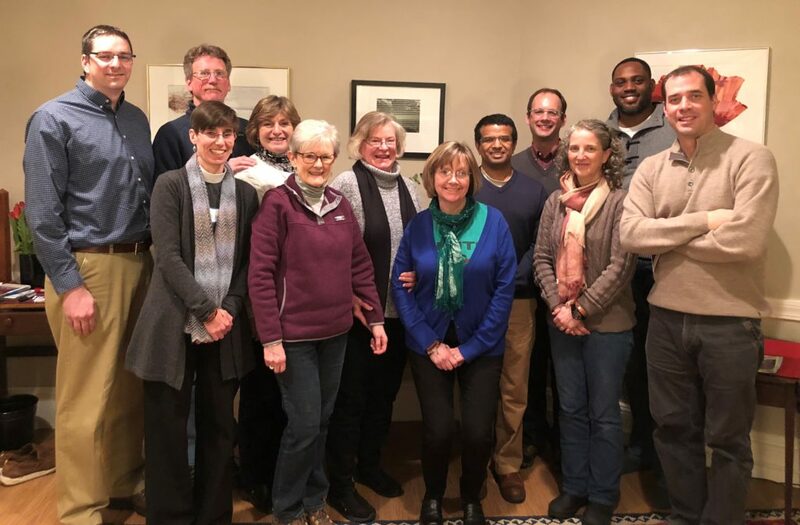 The vestry is a good blend of newer and long-time parishioners, usually including a student member, committed to the responsible stewardship of the church, both practically and spiritually. Candy has been a member of St. Paul’s since April of 1979, joining the church in anticipation of baptizing her expected first born. She has participated in Advent Fair activities, taught church school for many years, has been a warden on two previous vestries, was on the search committee that called our present rector, is active with our Outreach committee, and serves on the altar as a Lay Eucharistic Minister. She is a retired teacher from the Bedford Public Schools and resides in Bedford with her husband, Bill. Katie has been a member of St. Paul’s since 2008. She serves as a Lay Eucharistic Minister and enjoys participating in a variety of parish activities including Women’s Group gatherings, spiritual spa nights, organizing the “cookie walk” table at the Advent Fair, and coffee hour hosting. She is a pediatric audiologist and is the Audiology Site Manager at Children’s Hospital at Lexington. Christine Anderson is a lifelong member of St. Paul’s whose ministries include making crafts for the Advent Fair, performing in the last four “St. Paul’s Tonight” shows, teaching Sunday School, and traveling with two Haiti mission teams. She also is one of the photographers for the church, and lives in Bedford with her husband and three children. Judy Criscitiello grew up in Bedford, left after college, and returned just after her son Mack was born in 2002. She started attending St. Paul’s with Mack in 2009 and has very much appreciated the loving support of the St. Paul’s community. Judy was involved in the Christian education program when Mack was in elementary school, and has served on the gardening ministry and courtyard garden development team, as well as participating in various family and women’s group events. Judy works as an OT/Hand Therapist and enjoys playing the fiddle and spending as much time as possible outdoors. Andy Jeffrey joined St Paul’s in 2012 with his wife Tyne after moving to Bedford. He serves on the property committee and is active in the men’s group. Outside of St. Paul’s Andy enjoys spending time with his two young children being active outdoors. Doris Kraemer found St. Paul’s in 2014 when looking for a new church for her family, including a new grandchild who needed to be baptized. Doris has enjoyed the Women’s Group, Spiritual Spa Night, working on crafts for the Advent Fair, and knitting blankets for Project Linus. Outside of St. Paul’s, Doris leads a support group for loved ones affected by addiction and is active on the Governor’s commission to address the opioid crisis in Massachusetts. Doris is a nurse and has a company that assists families dealing with long term care services, care coordination, and insurance payments. Sanjeev Pillai moved to Bedford in early 2013 and started coming to St. Paul’s in September of 2013 with his wife, Sarita, and two daughters. The whole family was baptized at St. Paul’s in November of 2015 and are active parishioners involved in various activities at the church. Sanjeev serves on the Stewardship Committee, as an usher and greeter during services, and at the Community Table sponsored by the church.